Iain Donnell is an experienced criminal defence lawyer. Based in Keswick, Ontario he serves the people of Aurora, York Region and all of Southern and Central Ontario. Protect you rights, freedom and future. If charged in Aurora or anywhere in York Region – Remain silent and contact Iain Donnell. Iain and his dedicated team are there for you every step of the way to help you navigate what is a complex criminal justice system. Iain and his team will do everything within their legal power to help you. It is crucial that you receive prompt and knowledgeable legal advice. We are available to provide the 24-hour service that you require. The primary focus of Iain’s practice is criminal defence law. Iain and his team have proudly served the people of Aurora and York Region form over 25 years. 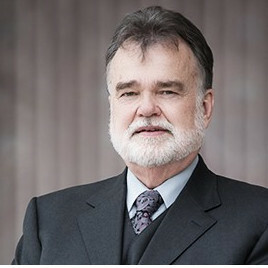 Iain has extensive trial experience and regularly appears on behalf of his clients in courts across Southern and Central Ontario in the Ontario and Superior Court of Justice. From the earliest stages of preparation right through to the actual trial, we will support you and fight for your rights. Iain handles all stages of the criminal process including bail hearings, pre-trials, trials and appeals of serious criminal charges. Our commitment to you is a zealous, fully invested, defence to achieve the most favorable results we can given the evidence against you and other case circumstances. Criminally charged in Aurora or anywhere in York Region? Speak with Iain Donnell immediately. Don’t delay! Call: 647-497-7967.